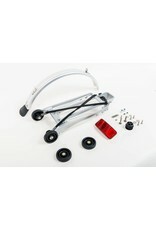 Brompton Rack complete with 4 rollers and mudguard 6mm holes Silver - J.C. Lind Bike Co. When folded or in the "shopping cart mode," the Brompton rests on a set of small roller wheels. 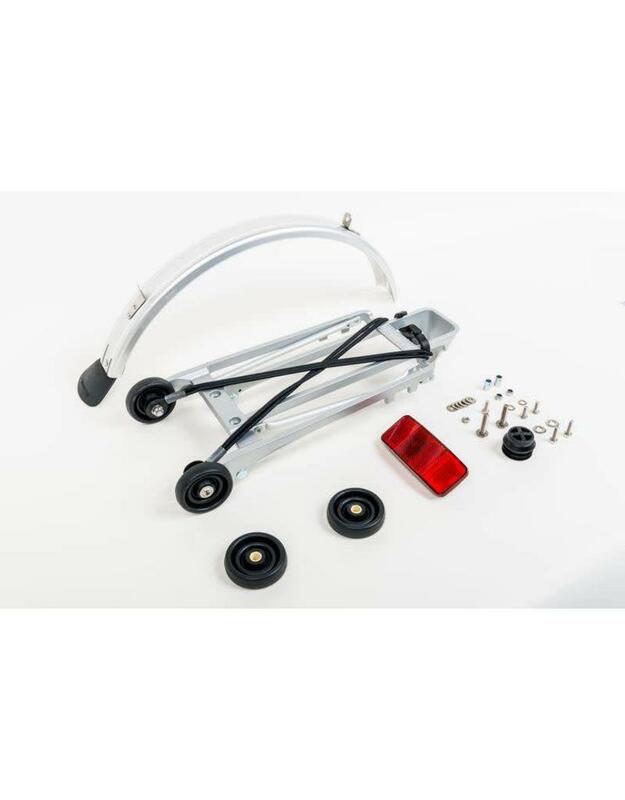 This replacement set includes 4 roller wheels, the rear rack, rear fender, the reflector, the plug for the seatpost end, and all installation hardware. Essentially, this set includes everything needed to upgrade a standard "L" Brompton (as in M3L) and turn it into an "R" Brompton (as in M3R), i.e. a Brompton with a rear rack.